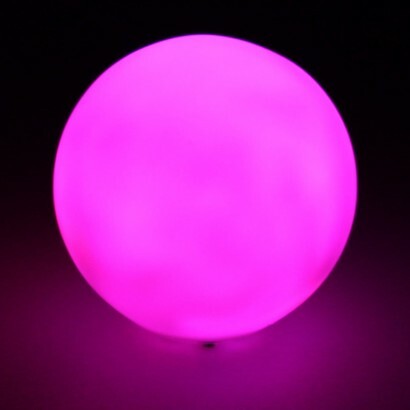 A stylish mini mood light that's as versatile as it is colourful, this little ball is lit with a colour change LED for a mesmerising light show. Gently phasing through a seamless blend of seven colours, use the handy colour lock switch to hold the light on your favourite colour allowing you to match you lighting to your mood. Just the right size for use as a night light or mood light around your home, this funky little ball light also makes a very cool table decoration for entertaining and parties!